What I mean by the Principle of Oneness is this: That we must learn to realize that there's nothing separate or apart. That everything is part of everything else. That there's nothing above us, or below us, or around us. All is inherent within us. 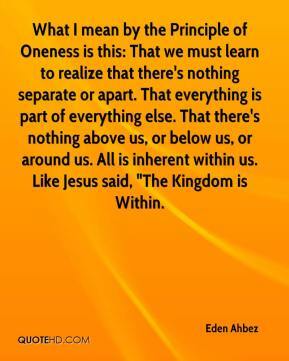 Like Jesus said, "The Kingdom is Within.